Our home in Montclair, Virginia, is located in a designated bird sanctuary, and the birds apparently know it. 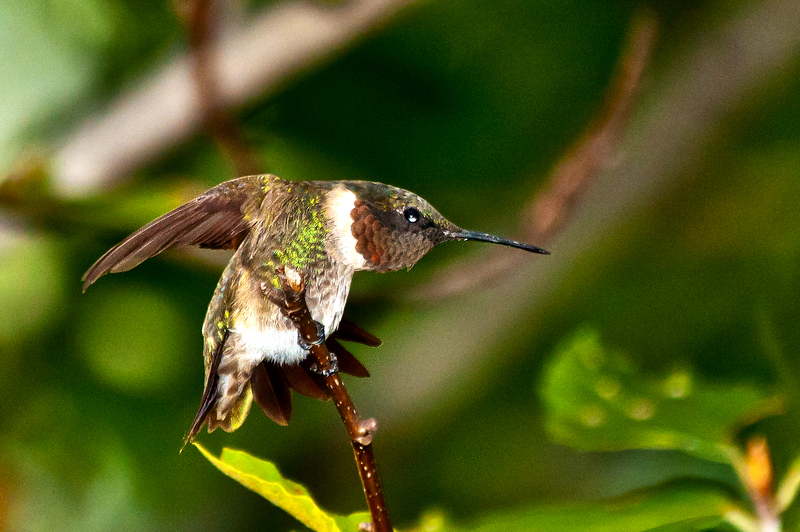 We have many species that live and thrive here to include Ruby-throated Hummingbirds. 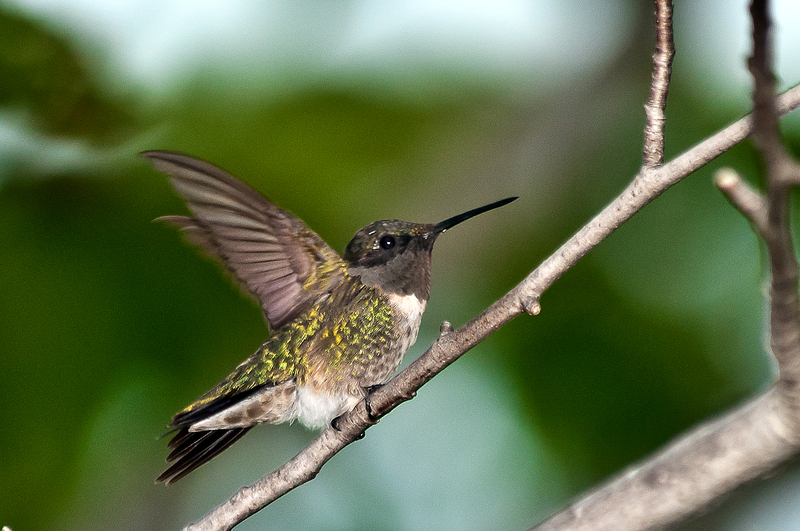 This afternoon when I returned home, there were two pairs of hummingbirds that were buzzing in and out and around the trees behind our house. I could not resist photographing them and set up my Nikon D300 on my tripod with my Nikon 80-400 lens and photographed them for about an hour. Below are are a few of the images. They are amazingly fast and were very entertaining. 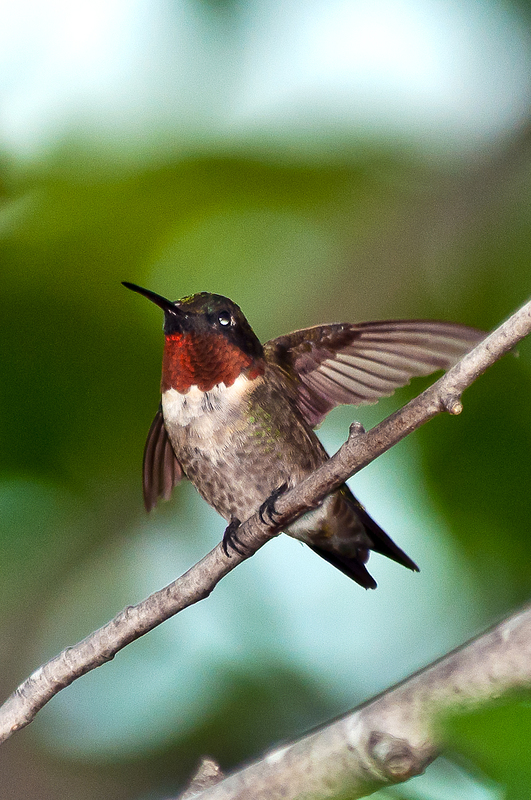 If you have never seen a hummingbird “stretch,” in the above two images that is what this one is doing. In addition to the hummingbirds, there were many other birds in the trees behind our house today to include Bluejays, Cardinals, Titmouse, Chickadees, Red-bellied Woodpeckers, American Goldfinches, House Finches, and a Carolina Wren–one of my favorite birds. 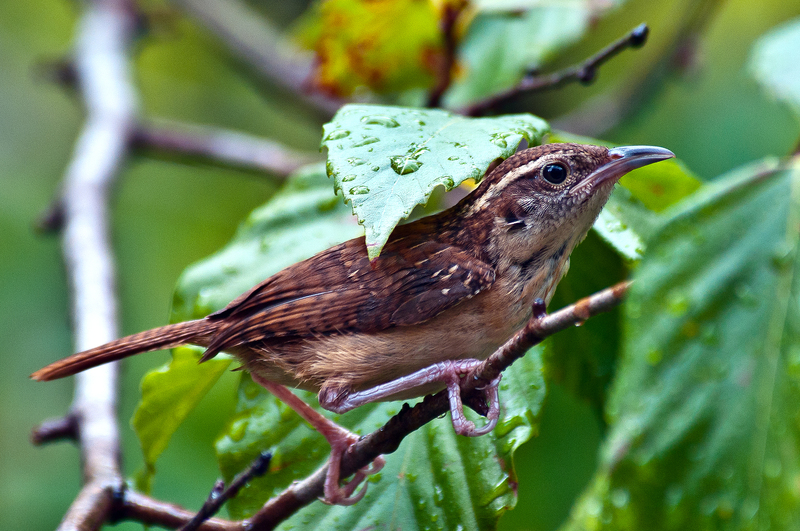 Therefore, below is an image from today of the wren crouching beneath a leaf in one of the trees. I photographed many of the other birds too and will post them later this week. This entry was posted in Bird Photographs and tagged hummingbird, wren. Bookmark the permalink. Great shots! It must be very nice to have such an active refuge in your backyard. Thanks Ernie. You are right; it is hard to beat the bird activity right behind our house. 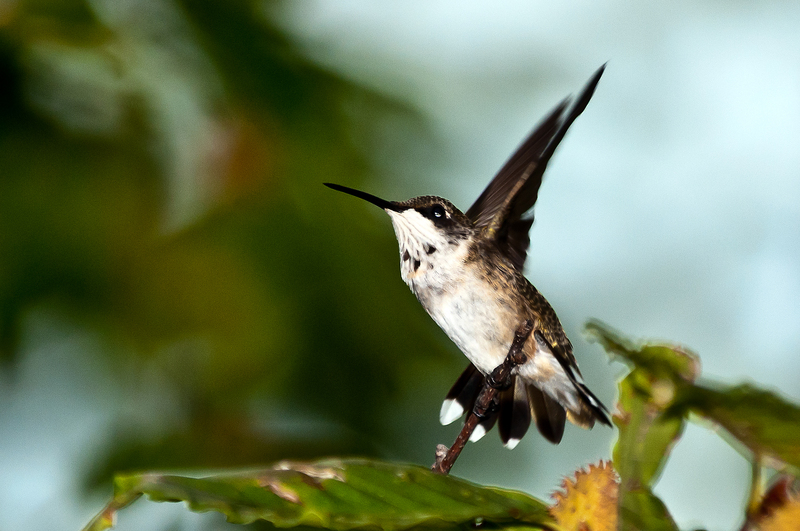 Need any hummingbird images for your website? Never saw a hummingbird here on Long Island although Jerry said he saw one. If I am lucky I get to see them flit about when we are visiting my brother-in-law upstate. But never up close and certainly not like these … the details are incredible! 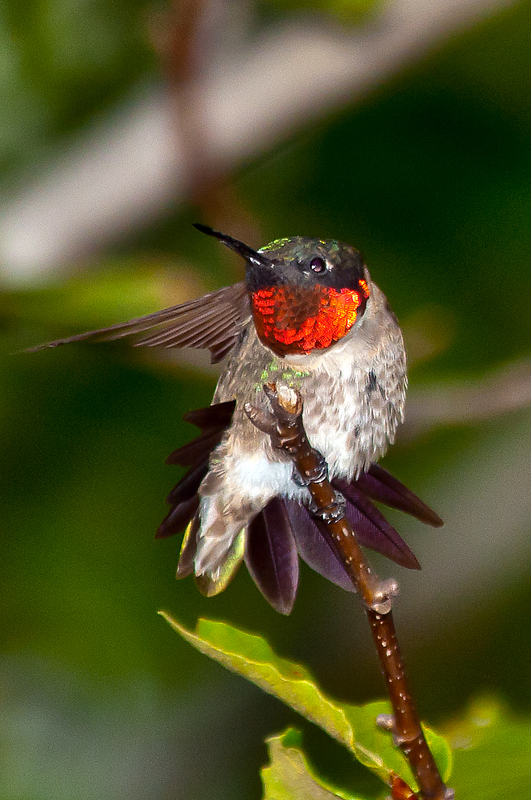 The ruby throated one looks like he has a bib of spangles around his neck so that he doesn’t get messy drinking while drinking a flower’s nectar! He’s all dressed up to dine out!